La Chinga and Friends — CHLY 101.7FM — Radio Malaspina, the Campus Community Radio Station of VIU Students & Nanaimo BC Vancouver Island. 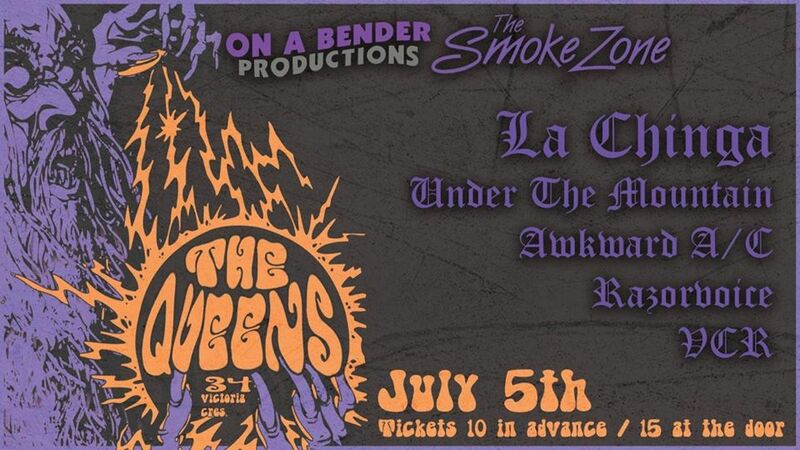 La Chinga,under the mountain,awkward ac,razor voice,and vcr at the queens Thursday July 5th.you don’t want to miss Vancouver’s stoner rockers la Chinga rip the queens a new one with there fuzzed out riffs,under the mountain bring the rock n roll ,while awkward ac,razorvoice(Victoria),and vcr(victoria)bring the punk rock gonna be a rad show you don’t want to miss.$10 advance $15 at the door.doors at 8pm get ready to party!!! !